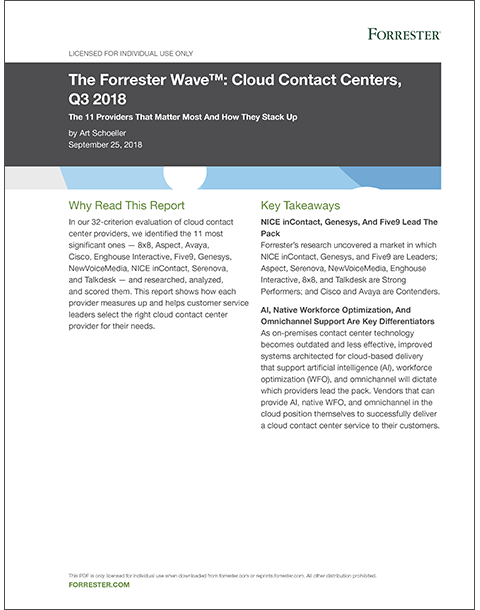 Forrester, one of the world’s most trusted research firms, has named Five9 a leader in The Forrester Wave TM: Cloud Contact Centers, Q3 2018. The Five9 mission is to create “Great Customer Experiences Every Time,” and Forrester states that “Five9 walks the walk by offering premium client support” and prebuilt CRM integrations. 1. How many contact center seats does your company have?